Vermont has a stated goal of becoming 90% renewable by 2050. The City of Montpelier seeks to lead the way by becoming the first state capital to produce or offset all of its municipal energy needs from renewable energy sources by 2030. Transportation is the biggest contributor of greenhouse gas emissions in Vermont. The latest report by the Energy Action Network shows that 43% of greenhouse gas emissions are coming from the transportation sector. The city government uses about 28,000 gallons of diesel and 15,000 gallons of gas per year in Montpelier. The city runs diesel in the heavy duty trucks that are used to plow during the winter and and for construction projects during the warmer months. Fire trucks and other municipal construction equipment also use diesel. 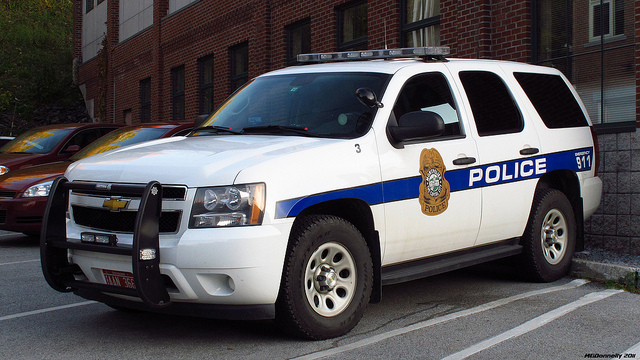 City police cars and a few other municipal vehicles are powered by gasoline. Since electric power in Vermont is 63% renewable, transitioning to electric vehicles would be a great way of reducing the carbon footprint associated with the city’s transportation needs. Unfortunately, most of the vehicles in the fleet are heavy duty and specialized, and electric alternatives are not currently available. 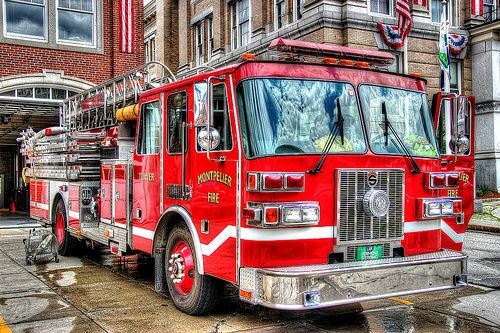 Since the majority of the fuel used in the city fleet is diesel, the Montpelier Energy Advisory Committee charged itself with the job of investigating the pros and cons of the two renewable alternatives to fossil fuel diesel, biodiesel and renewable diesel. Biodiesel is a renewable fuel made from waste oil with more than 4% fatty acids. It is made by a process called acid esterification. Alcohol is added to the oil to create biodiesel and glycerine. The glycerine is a valuable byproduct. The biggest thing going for biodiesel is that it is locally available. In fact, while there are only three biodiesel fueling stations in Vermont, two of them are relatively close to Montpelier (Bourne’s Energy in Morristown, and Black Bear Biodiesel in Plainfield). Biodiesel can cause problems because it acts as a solvent and releases dirt and sludge from the tanks in which it is stored. This dirt and sludge can clog fuel filters, adversely affecting vehicle performance and increasing maintenance costs. Biodiesel also degrades over time so its shelf life is more limited than fossil fuel diesel. Additives can be used to prevent microbial growth, but, as a general rule, the shelf life of biodiesel is six months. By far, however, the biggest problem associated with the use of biodiesel here in Vermont is gelling. In very cold weather, it gels up and does not flow. In order to solve this problem, it is often blended with fossil fuel diesel. B20 is 20% biodiesel and 80% fossil fuel diesel (#2 diesel). This mixture will gel in extremely cold weather. To avoid gelling, this blend must be mixed with #1 diesel (kerosene) and additives during the winter months. Note: Even regular fossil fuel diesel needs to be mixed with kerosene to provide acceptable low temperature performance in Vermont. This is often called “Winter diesel” and can have 50% kerosene. In sum, considerable know-how is required to select the right mix of biodiesel, #1 diesel, kerosene, and additives to provide acceptable performance of biodiesel in Vermont during the winter months. One city that has made the transition to B20 is Keene, NH. Keene is running 68 vehicles on B20 biodiesel. The City of Montpelier can get started by following the example set by Keene, NH. Bourne’s Energy has offered to place a fuel tank on DPW property and sell the city B20 for use in late model Ford Trucks. The cost will be about $1 per gallon more than the #2 diesel the city regularly buys. The city gets a very low price for #2 diesel by buying a complete truck load. Wholesale cost of B20 biodiesel is about the same as #2 diesel, but B20 must be bought in smaller quantities due to the shorter shelf life. Annual fuel use for these trucks is approximately 5000 gallons per year. The public works department is investigating to see if a tank location can be found on the public works property on Dog River Road. Renewable diesel has none of the performance issues associated with biodiesel. It is the functional equivalent of fossil fuel (#2) diesel and it can be used in any diesel vehicle without problems or concerns. Renewable diesel is produced by a process called hydrotreating that requires fossil fuel derived hydrogen. The feedstock for renewable diesel can vary. A popular version being made by Diamond Green Diesel uses a mixture of tallow, waste cooking oil, and vegetable oil feedstock. A new plant currently under construction in Quebec, Canada is being designed to use forest waste. If the City transitions to renewable diesel, it will be very important to consider the feedstock of the fuel purchased in order to stay true to the City’s net zero goals. The biggest obstacles to converting to renewable diesel are the added cost ($1.50 per gallon premium over #2 diesel) and lack of current availability. Currently, renewable diesel is simply not available for purchase here in Vermont. In California, the carbon intensity of the feedstock is included in the credit calculation, so carbon intensive feedstocks such as soybean oil and palm oil get a reduced credit. Some states have set policies to encourage alternatives to fossil fuel diesel. Arnold Schwarzenegger signed legislation in 2009 in California that mandated a Low Carbon Fuel Standard. Under this policy, California companies must either sell fuels that have lower carbon intensity or buy a “carbon credit” to meet the required standard. Thus, if you are a fuel supplier, and you want to sell conventional fossil fuel diesel, you have to buy a credit from another supplier that is selling fuel with a lower carbon intensity that exceeds the state standard. For example, a second company may be selling biodiesel fuel. Biodiesel has a lower (better) carbon intensity than the required standard, so a supplier that sells biodiesel gets a credit for every ton of carbon dioxide equivalent that is avoided by selling biodiesel. It can then sell this credit to a supplier selling standard fossil fuel diesel. The credit on March 1 was $185 per ton of CO2. The transfer of this credit increases the cost of conventional diesel by about $0.15 per gallon and it effectively reduces the cost of biodiesel and renewable diesel by about $1.50 per gallon. Since renewable diesel costs about $1.50 more per gallon than fossil fuel diesel, this system of “carbon credits” provides financial incentives for renewable diesel, and makes it easier for municipalities in California to switch to this renewable fuel. A similar incentive is provided for biodiesel. However, many diesel vehicles are not designed to handle biodiesel. California started the system in 2011, and has been gradually ramping up the incentive. Other regions are implementing similar policies. In 2016, Oregon set a renewable fuel standard that reduces the carbon intensity of the states fuels by 10% over a ten year period. Canada is implementing a Clean Fuel Standard, but it doesn’t start until 2022. In the long term, renewable diesel will provide a greater percentage of renewable energy for transportation. Efforts should be made to support a low-carbon fuel standard that will attract more renewable fuel production near Vermont. Perhaps the purchases made by New York City will attract some suppliers to the area. So what does MEAC recommend that the City Council do now to reduce the carbon footprint associated with the municipal fleet? First, in the short term, MEAC recommends that City Council accept Bourne’s Energy current offer to place a B20 biodiesel fuel tank on DPW property for use in the late model Ford Trucks now owned by the City. B20 can be used in these trucks without jeopardizing warranties and without making any engine modifications. MEAC recommends that this project be undertaken as a “pilot” program to determine whether any added maintenance and/or performance issues outweigh the carbon benefits. The added cost of $1 per gallon +/- is the cost of reducing the operational carbon load associated with use of these trucks by 20%. Second, the Council should direct DPW to continue its efforts to find a source of renewable diesel that could be purchased and used to power the diesel vehicles in the municipal fleet. Obviously, there will be an added cost to using this fuel, but that cost must be weighed against the carbon benefits to be achieved and in context of the City’s stated net zero goals.